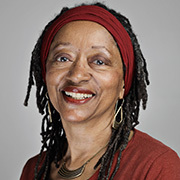 Jean Alicia Elster, B.A., J.D., is the author of the novel The Colored Car—for ages 8 and older—published by Wayne State University Press and released in September 2013. The Colored Car was selected as a 2014 Michigan Notable Book by the Library of Michigan. Elster was awarded the 2014 Midwest Book Award in Children’s Fiction for The Colored Car by the Midwest Independent Publishers Association. The Colored Car was chosen as an Honor Book for the 2014 Paterson Prize for Books for Young People. Elster is also the author of the novel Who’s Jim Hines?—for ages 8 and older—and published by Wayne State University Press. Released in August 2008, it is in its second printing (2009). Who’s Jim Hines? was selected as one of the Library of Michigan’s 2009 Michigan Notable Books. In addition, the Michigan Reading Association placed Who’s Jim Hines? on the Great Lakes Great Books Award 2009-2010 ballot for grades 4-5. Who’s Jim Hines? was also a ForeWord Magazine 2008 Book of the Year Award Finalist in the category of Juvenile Fiction. In addition, Elster is the author of the children’s book series Joe Joe in the City, which includes the books Just Call Me Joe Joe (2001), I Have A Dream, Too! (2002), I’ll Fly My Own Plane (2002), and I’ll Do the Right Thing (2003). She was awarded the 2002 Governors’ Emerging Artist Award by ArtServe Michigan in recognition of the series and in 2004, I’ll Do the Right Thing received the Atlanta Daily World Choice Award in the category of children’s books. In recognition of outstanding work, Elster was honored with a 2017 Kresge Artist Fellowship in Literary Arts, awarded by Kresge Arts in Detroit, a program of The Kresge Foundation. Elster was awarded residencies at the internationally acclaimed Ragdale Foundation in Lake Forest, Illinois, in 2001, 2003, and 2005. Elster is frequently invited to speak at schools, libraries, and conferences throughout the state of Michigan and across the United States. Engagements include the following events: In 2016, she was a presenter for the 60th Annual Conference of the Michigan Reading Association in Detroit, Michigan and the guest speaker for the Ann Arbor (Michigan) District Library’s “Write On!” Story Contest Awards. In 2015, she was the keynote speaker at the inaugural Association of Michigan Independent Schools (AIMS) Affinity Workshop in Bloomfield Hills, Michigan. In 2014, she was a guest speaker for the Vander Veen Center for the Book Program Series at the Grand Rapids Public Library in Grand Rapids, Michigan. In 2012, she was selected as the inaugural visiting author for The Lori Lutz Visiting Artist Series at The Roeper School in Bloomfield Hills, Michigan. Formerly an attorney and now a professional writer, Elster has edited several books including The Death Penalty and The Outbreak of the Civil War (Greenhaven Press, an imprint of The Gale Group, Inc.), as well as Building Up Zion’s Walls: Ministry for Empowering the African American Family and Playbook for Christian Manhood: 12 Key Plays for Black Teen Boys (Judson Press). In addition, her essays have appeared in national publications including Ms., World Vision, Black Child, and Christian Science Sentinel magazines. She also collaborated in the preparation of the manuscript for Dear Mrs. Parks: A Dialog with Today’s Youth, by Rosa Parks (Lee and Low, 1996), which was honored with four awards including the NAACP Image Award and the Teachers’ Choice Award. Elster is the founder and president of Write Word LLC (established as Write Word, Inc. in 1994). She and her husband live in Detroit, Michigan and are the parents of two adult children.